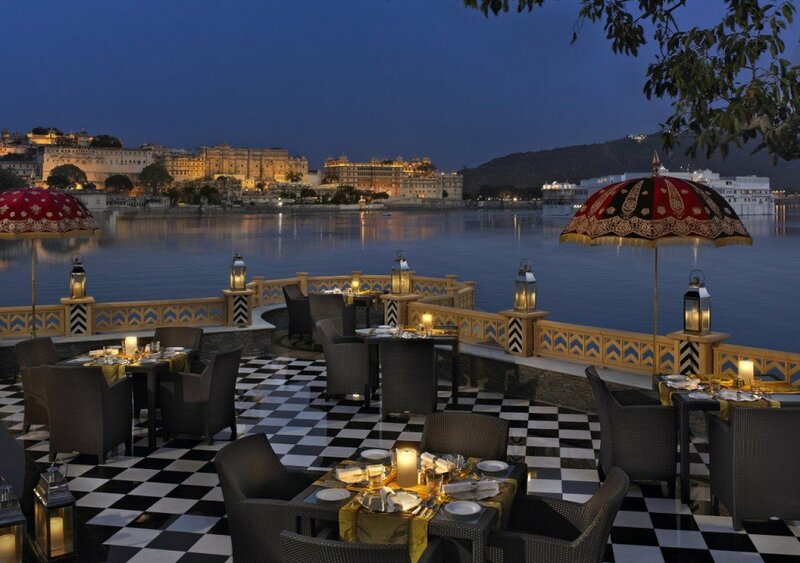 Nestled beside the shimmering waters of Lake Pichola and surrounded by the majestic Aravalli hills, Udaipur has a romance which, we feel, is unmatched by anything else in India. This dazzling and easy-going city is a stunning combination of white marble palaces, historic temples, crooked colourful streets, azure lakes, and lush gardens. The landmarks of the city are the enchanting Lake Palace and City Palace, drawing visitors in from near and far to witness their splendour. 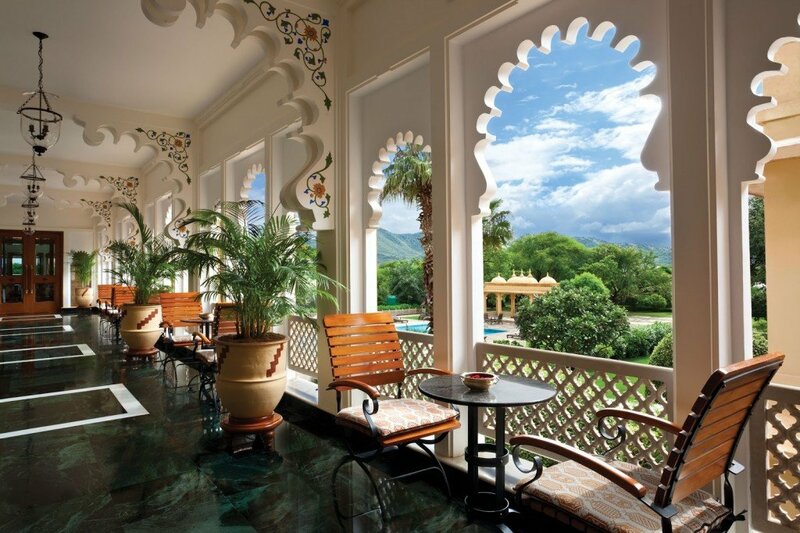 Set on the edge of Lake Pichola, overlooking the Aravalli Hills, the Lake Palace and the City Palace, the Leela Palace offers a spectacular panorama that’s difficult to beat! All of their rooms, the spa, and the Sheesh Mahal restaurant face the lake, so you can soak up the scenery throughout your stay. This hotel is within walking distance of the city’s main attractions, including the City Palace. As it’s on the lake, you can also travel by boat to and from the city, which is particularly picturesque in the late afternoon as the sun goes down. 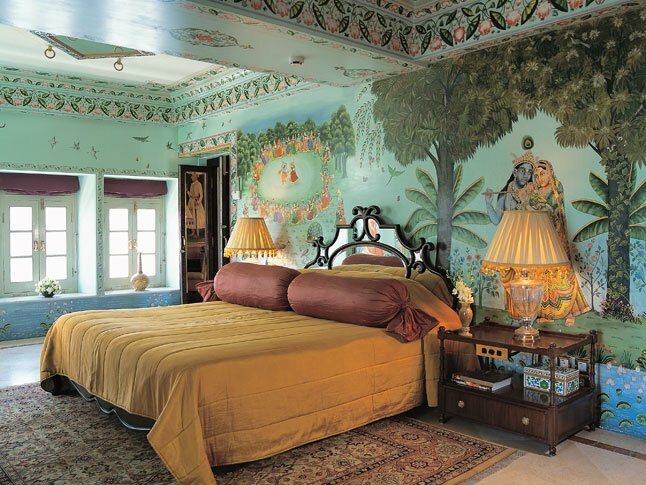 The Leela was constructed over a period of 14 years, and this is reflected in the incredible detail that has gone into the artwork throughout the hotel and the intricate murals in the courtyards. The spacious rooms are beautifully finished and dressed with sumptuous furnishings, offering a modern feel but with a traditional touch. 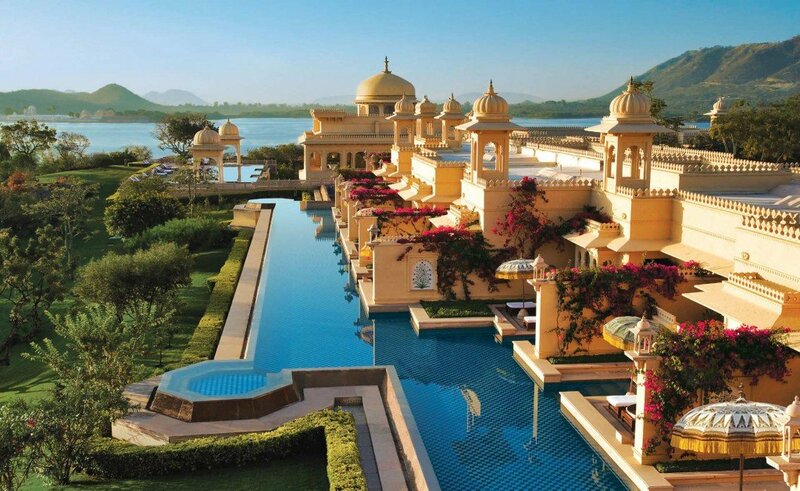 Recently voted as the Best Hotel in the World by readers of Travel+Leisure, the Oberoi Udaivilas is designed in the style of a traditional Rajasthani palace; domes, turrets, fountains and reflection pools feature regularly throughout the hotel. The bright and airy bedrooms are amongst the most comfortable in the country, particularly those with semi-private pools overlooking the lake. There is a luxurious spa to pamper yourself at and private yoga sessions can be arranged, numerous dining options are available and adventurous guests can even take a picnic onto a private gondola. 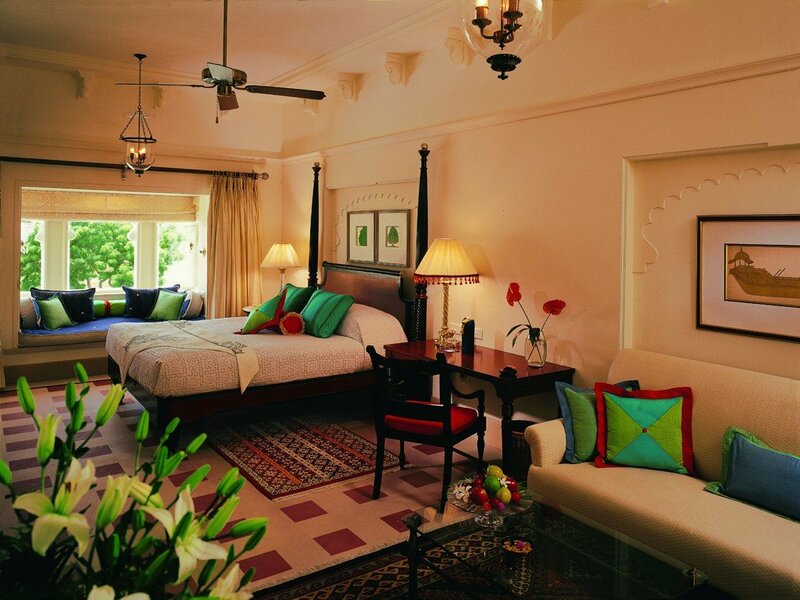 The Oberoi Udaivilas is a tranquil haven to relax in, and an ideal base for exploring Udaipur, if you can tear yourself away! Amet Haveli is not a luxury hotel, but its location and local character make it a really special place. 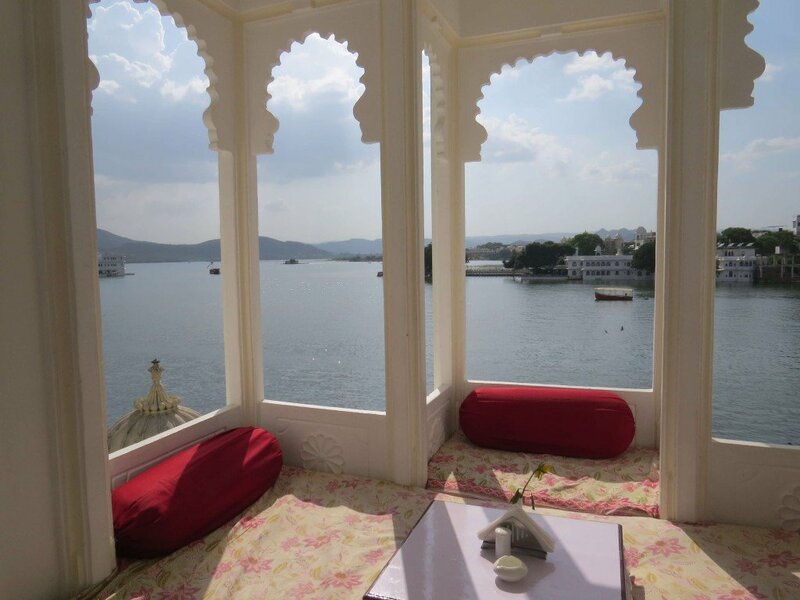 This charming haveli has one of the best locations in Udaipur, overlooking the lake, the town and the City Palace; the trifecta of Udaipur views! Rooms are simply furnished yet are bursting with charm and character. Views of the lake are spectacular, with the water being so close that one feels they’re actually staying within the lake itself. The restaurant, Ambrai, is one of Udaipur’s most famous. It’s right on the water and shaded by mature trees. 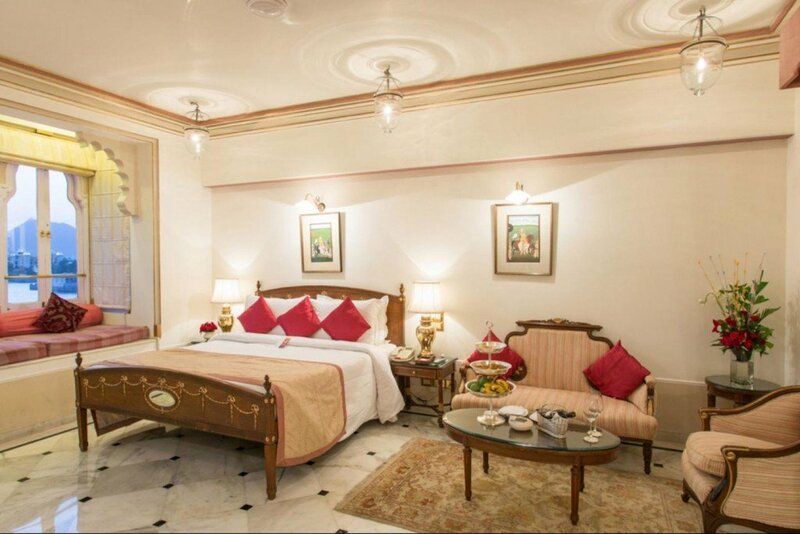 The light and airy Trident Udaipur, run to the usual high standards of the Oberoi Group, is on the opposite side of the lake from the City Palace and has beautiful views of the lake and Aravalli Hills. 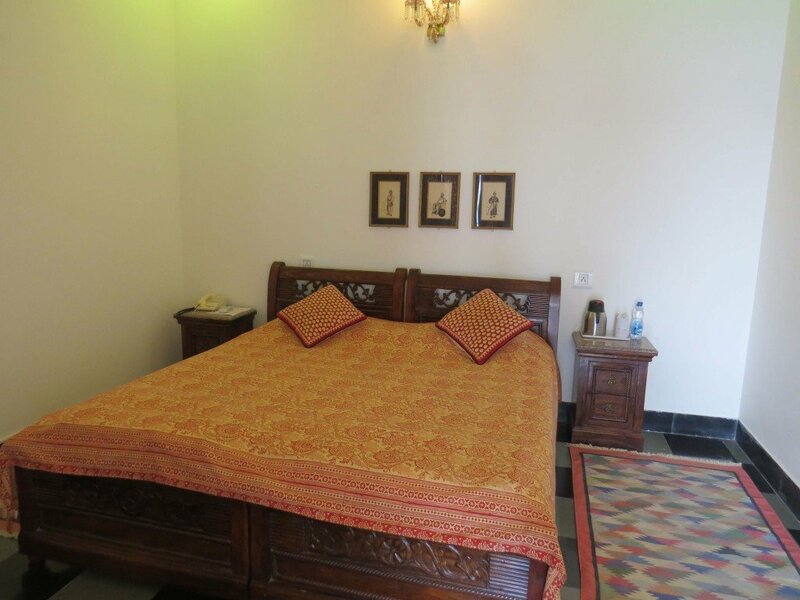 The rooms are well equipped and very comfortable facing either the pool or the garden. The facilities include a large swimming pool and a very good multi-cuisine restaurant. In the evening, diners may enjoy views of the stars whilst enjoying a traditional thali and classic Indian music. 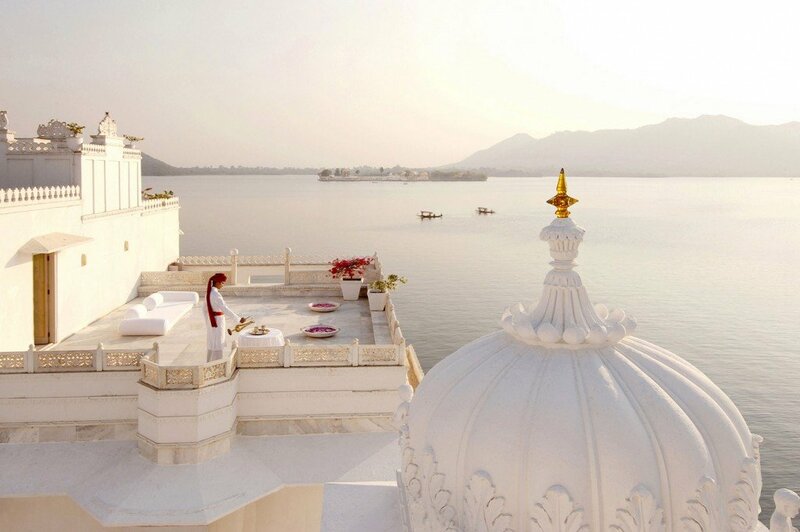 One of the most photographed hotels in the world, the legendary Lake Palace appears to float like a mirage in the middle of Lake Pichola. It looks dazzling from the shore. Reached by a short boat-ride, it was built as a summer retreat 250 years ago, by Maharana Jagjit Singh who ruled Jaipur in the 17th century. The views of the City Palace which lies directly opposite are magnificent and uninterrupted. 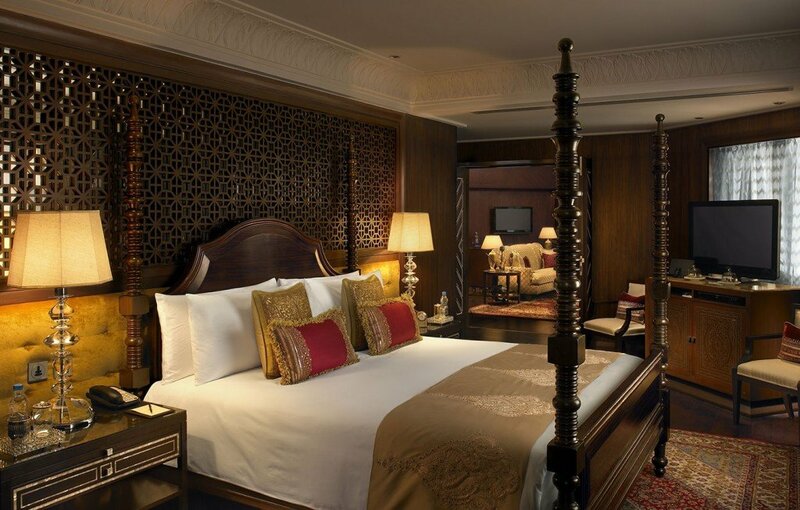 The interiors have undergone major refurbishment, which has gone a long way to restore its palatial feel with marble floors and rich furnishings. There are two restaurants; one informal serving both buffet and a la carte from around the world and the other a fine dining option specialising in Rajasthani food which overlooks the famous lily pond and only opens for dinner. The pool terrace has lovely views of the City Palace. Fateh Prakash is located within the extensive City Palace complex, and was originally built as a guest wing for the Maharana’s royal visitors. This section of the palace has now been converted into a hotel, and has spectacular views of the lake. The rooms have plenty of charm and provide all the comforts one would expect, though it’s the views that are the highlight. 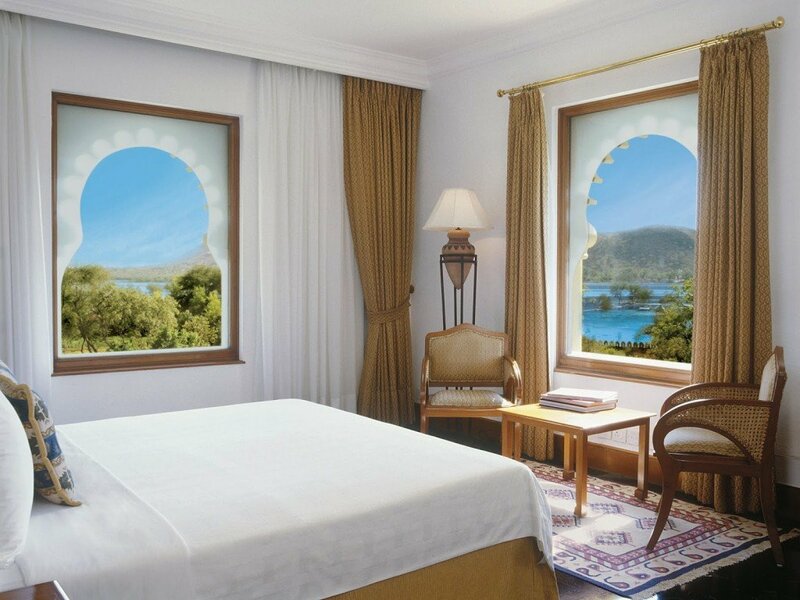 Of all the hotels that surround Lake Pichola, Fateh Prakash has the views of the Lake Palace that all are envious of! The location is ideal with the heart of the Old City is just a stroll away. 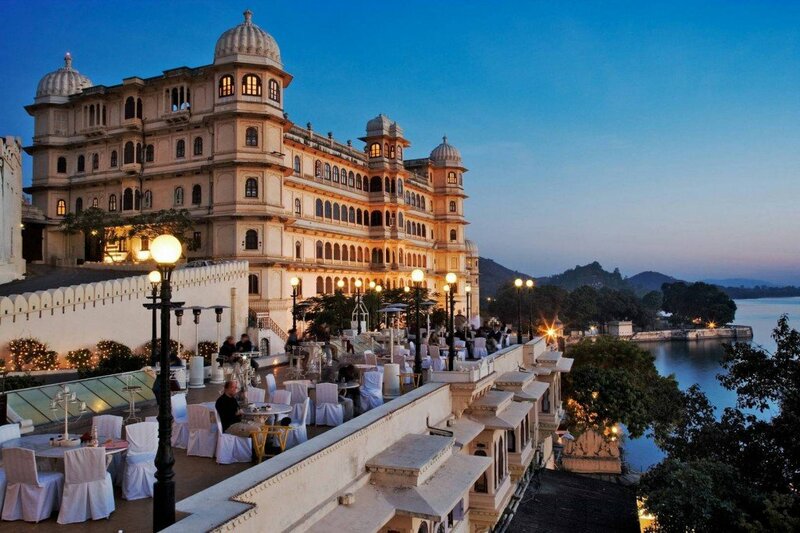 Jagat Niwas Palace is built in a Mewar style, offering views of the lake and surrounding palaces. 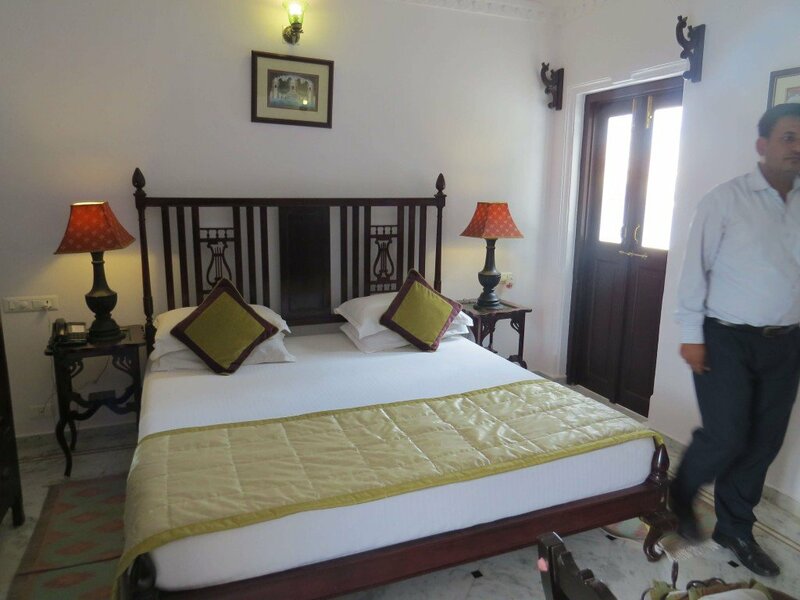 It offers the chance to stay in a characterful, historical hotel with an excellent location, right on the eastern banks of Lake Pichola. Rooms are clean and simple, decorated in a traditional style. A highlight of the property is its restaurant, which serves a variety of cuisines and offers stunning views across the lake and city. It is particularly special at sunset. Conveniently located in the Old City, close to the City Palace and Jagdish temple, Jagat Niwas is an ideal base in which to explore the city, as well as the many souvenir shops in town which specialise in miniature paintings. Being located in the old city, we would arrange your transfers to/from the property by auto-rickshaw (tuk tuk). Not only is this a fun way to travel around, but it’s also the fastest and most convenient at certain times of day when the narrow streets are very crowded. If you’d like to include a stay in Udaipur on your upcoming visit to Rajasthan, please do get in touch – we’d love to bring your ideas to life and assist with your arrangements. Or, you might like to take a look at our sample itineraries by clicking here, to get you started.